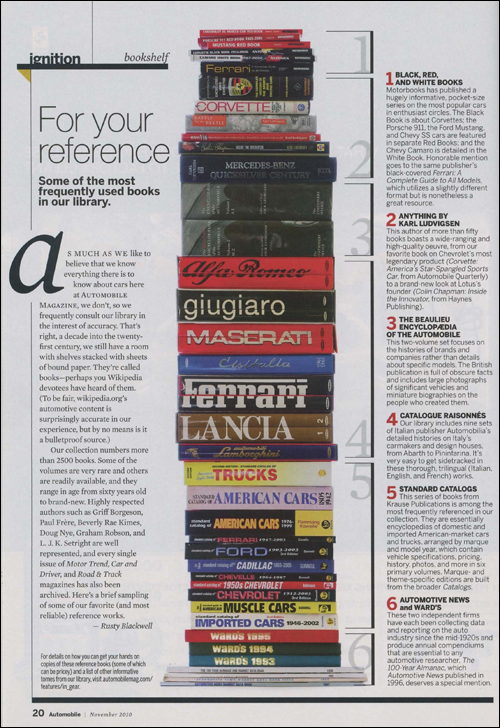 We were quite pleased to see author Karl Ludvigsen get a prominent spot in a recent write-up in the November 2010 issue of Automobile Magazine. 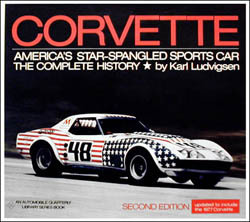 In a brief article talking about the most frequently used reference books in their library, listed at Number 2 was Anything by Karl Ludvigsen, with copies of his book Porsche: Excellence Was Expected, Battle for the Beetle and Corvette: America's Star-Spangled Sports Car right at the top of the pile. Get on the advance notification list for the forthcoming expanded edition of Corvette: America's Star-Spangled Sports Car by clicking on the book cover below.